We’ll go over the ins and outs of the StoryWorth service, showing you how to make the very most of your account. We’ll also touch on the ways that we believe storytelling complements and enhances your genealogical research, and look at a few examples from real users. Nick Baum began building StoryWorth in the fall of 2012, with the goal of creating a service that would allow people to easily record and share their family stories. StoryWorth launched publicly in 2013, and is now used by families all over the world. Each week, customers receive a question about their lives, and simply reply via email, web, or phone. The stories are then saved in their private account, and emailed to their family members. We believe that there’s no better way to know your family than through their own words. With a library of over 600+ thoughtful questions, StoryWorth helps you and your loved ones to connect in the present with stories from the past, and preserve them for the future. Hope Tammany has worked in Silicon Valley for a couple years, but wasn’t looking for another job in tech until she came across StoryWorth. Right after her father’s diagnosis of early onset dementia, Hope was looking for a way to stay connected with her dad as well as preserve memories she didn’t want to lose. Then she found StoryWorth: after trying it out with her own father, she knew this was a company she wanted to join. 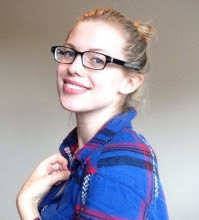 Hope joined the company in 2014 in the position of Community Lead. In addition to working directly with customers and community, she writes for the StoryWorth blog and posts to the company’s social media accounts.